Gamification has always been in, but there was no one to call it the name it now boasts. Games engage our attention; make us feel a bit like kids. Even “serious” games drive us to compete with one another. Same thing with Learning Battle Cards, which are currently being launched globally. When I'm holding these cards I can see their endless potential, especially in training design teams, teams of trainers, as well as individual trainers. On top of those, Learning Battle Cards could be an invaluable training tool in the “train the trainer” type of classes. 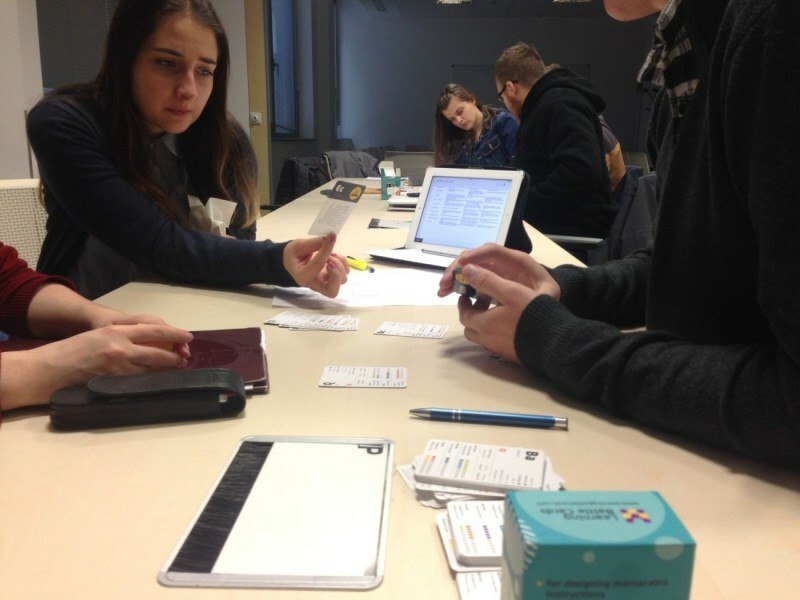 It did not occur to me back then that I would later run Instructional Design classes at two colleges in Krakow, yet I felt that there was capability in the cards. Once again my gut feeling would prove right. Knowing the cards for what they were, I set out to give them a try. As it happened, from October last year I have been conducting Instructional Design classes at two colleges. 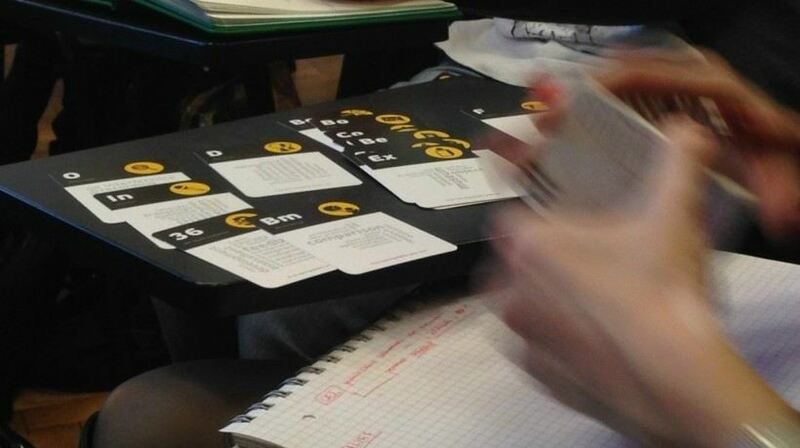 That presented an opportunity for an acid test of the cards with two distinct groups of students: Full-time language students and postgraduate students during a weekend session. The cards, along with an eBook laying out a recommended methodology, worked miracles. Grouped into small teams, the students were able to propose the whole training process, selecting appropriate methods of analysis, delivery, and, finally, evaluation. The whole process appeared very natural, and parameters available on the cards made it possible for every team to estimate the cost of a training program, its time frame, and even setting up a reasonable schedule. I was listening attentively to all the discussions taking place. What struck me was how the students would compare parameters on the cards and use those parameters as arguments in discussions leading to the selection of the most effective training method. From my point of view, this constitutes immense value of the cards as a training tool, but it has to be noted that the cards are not to be used in their entirety (108 items) with beginner groups and without a thorough discussion of the methods outlined on them. In the case of beginner groups the sheer wealth of the cards might raise a multitude of questions about all the respective methods. This could be pre-empted by discussing each and every card, but such a class would be dead boring in my opinion. Another way would be to preselect cards and use only those that would be self-explanatory to students. This is what I am going to do next time. Another observation I made was that using the cards definitely requires the trainer to build an explicit scenario as merely looking at and talking about them will not yield much effect. Similar to a classic game of cards, the number of card and game combinations is virtually infinite. We are only limited by our creativity, perhaps also time and our understanding of the rules of the game. You need two yellow Post-it notes, and possibly a table or wall (for that you would also need Blu-tack). Put forward a topic, training goal, or training area. Then shuffle the cards and divide into two columns. A very simple activity, but one that stimulates a discussion about the method itself, training goal, or training area. Similar to the previous one, but on a different level. In this one, assign the cards to five categories: Analysis, Design, Development, Implementation, and Evaluation. The cards are then sorted in such a way that the use of a specific method matches a particular task. For instance, the “Focus Group” card goes with the “Analysis” category. In this way we can examine the methods conducive to the respective activities, and, what is even more interesting although also more difficult, use the cards to design a concrete training program. Estimating cost and training force. What the parameters listed on the cards allow us to achieve is that once we managed to build a training program (previous point), we are able to estimate, for example, how much the training is going to cost. This is a definitely another benefit. 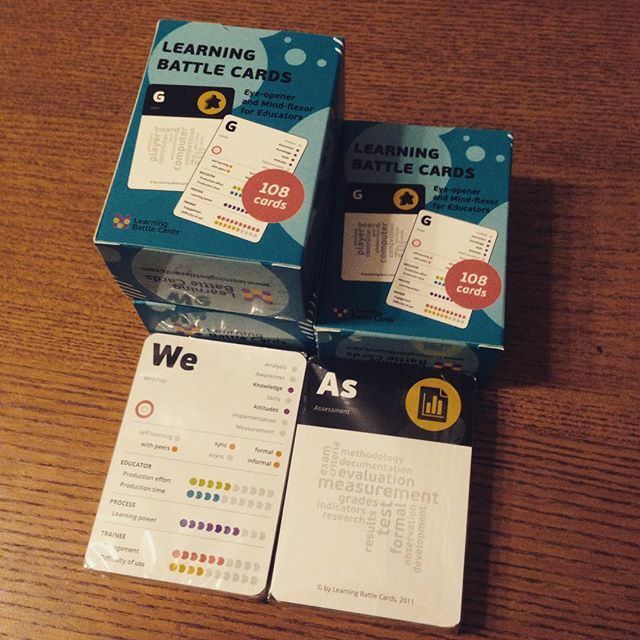 A summary should go beyond restating what has already been said, so let me put it this way: Learning Battle Cards are a very interesting tool for eLearning and Instructional Design trainers.  It is a very good tool for departments involved with designing and delivering training solutions. As far as shortcomings are concerned, there is no denying that a lot of people would like such cards in their native language, which I sincerely hope will materialize. I have several sets myself which I am planning to use in open training sessions. Personally I will be using all of the packs that I have during next open course of Instructional Design. Learning Battle Cards on my Instagram. Something I would love to see is a special trainer’s edition of the cards, with plastic foliage or otherwise toughened for heavy usage. My cards are still fine, but I do worry about their durability, something that which might be their weakest point. I currently keep my cards in plastic sleeves bought in a shop with board games.